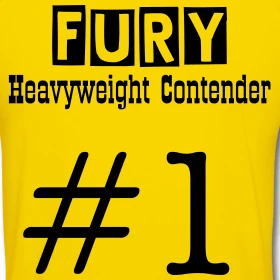 At the top of the Light-Heavyweight division; old is the new young. I cannot think of another era or weight class in which so many ageing fighters remain in control of the paydays and belts. Not even the moribund heavyweight division can match the 175 pounders for supporting the elderly. 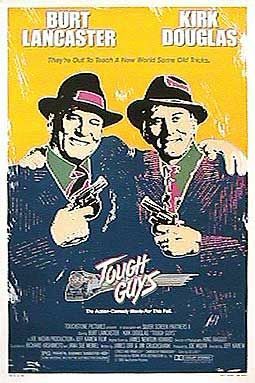 I’m reminded of the old eighties buddy flick ‘Tough Guys’; a film in which two vintage gangsters; Bert Lancaster and Kirk Douglas, are released from prison to discover they could still out think, out hustle and out punch their modern day counterparts. Mess’s Johnson, Hopkins, Woods, Tarver and Jones must be wondering if this ageing thing is little more than an urban legend. Unlike the heavyweights I don’t begrudge these decorated veterans the extra limelight and pay days. Hopkins, 42, is a devout trainer and has utilised every ounce of his natural talent. His longevity a testimony to an unshakable self-belief and iron will, both facets of the survival mentality his troubled youth and the streets of Philadelphia in which he spent it, engenders. He’s the original ‘Tough Guy’ and the sport will be a gloomier place when he does pass on the torch (its hard to see anyone taking it from him). Late bloomer Clinton Woods, 35, deserves credit for his persistence, operating away from the leading promoters and without packed venues to encourage interest in his career. Ultimately, he’s been rewarded for fulfilling every obligation the IBF has placed on him but few could argue with the improvement he’s demonstrated to overcome Hoye, Gonzales and Johnson in recent times. And Clinton, like most Yorkshireman , is a good guy. Honest and sincere. But for all the merits of those two, the star spangled achievement of Roy Jones Jr and the infamy of Antonio Tarver nobody comes close to eclipsing Glen Johnson in my affections. The original ‘RoadWarrior’ is simply irrepressible. Neither age or defeat appear able to deter him or dull his thirst for achievement. Emphatic victory last time against Montell Griffin in a bout that served, almost inevitably, as an IBF title eliminator started the latest run at the championship. In order to stay busy while Clinton Woods fulfils his existing obligation to Julio Gonzales, Johnson will tackle Fred Moore – a 40 year old himself – in the first show put together by Bad Dog Promotions on July 27th. FightBeat.com carry today’s press release. Click Here. I think that, for once, there’s nothing wrong with milking a fighter with some ‘gimmie fights’. For the likes of Hatton and Calzaghe, who are at the peak of their divisions and looking to cement their legacies, or even Witter, who has great talent and is pushing for a marquee fight against Hatton, easy defenses are unacceptable and counter-productive, and, in fact, they should be looking to force their way to where they want to go, taking risks if necessary. Clinton, on the other hand — and I hope this isn’t patronising the man — seems to have squeezed every last ounce from the talent he has, and he’s arrived at the top table late in his career. Right now, he needs to be careful to extract the maximum amount of money from here ’til the end of his career in order to secure his future. But he’s not a draw and he knows that if he loses the title now, there’s little way back. That means he needs to find a big fight in which to find a fight which would guarantee a last, big pay check, but knowing that if he’s defeated at this stage it’ll probably be his last chance, because his only real barganing chip is his IBF title. It requires patience and caution; and that means fulfilling mandatories against the likes of Gonzales to keep of his belt while waiting for the big name to come along. For all I don’t like some of the things FA do, you can’t knock their efforts for Clinton, who was given 3 shots at a title because of what must have been a herculean effort from Hobson. Gonzales was / wouldve been another step backwards for Clinton. He’s not going to lure Jones jr, Tarver et al to the UK. So its either try to make a fight over there, or push for Calzaghe over here. Yes, Clinton needs a big payday soon. He was slated to defend his IBF title against Gonzales on the Hatton undercard in Vegas, but I heard a rumour that HBO didn’t want to stump up the money for it. I was told that FA would sort the situation and Woods would definitely appear in Sin City, but, alas, it wasn’t to be. Woods deserves a big fight, and with Roy Jones inactive, one poor, but title retaining, performance by the Sheffield man could book him a meeting with Jones Jr.
Chad Dawson, future of the division I’d say. Clintons career is stagnating somewhat… he needs a fight, then a big fight (more importantly for him, big pay day). I nearly choked on my morning cola.